Military Coat Black by Punkrave. This military coat is the perfect style combo of army chic and gothic punk. Featuring long black overcoat with steampunk military accents and oversized sleeves. Constructed with side pockets, single vent, hook-and-eye closure, and removable waist belt. Military coat includes black faux leather epaulets and army-inspired shoulder badge. Designed with classic, below-the-knee overcoat length with A-line silhouette. Heavyweight coat with wool texture finished with fully lined interior. 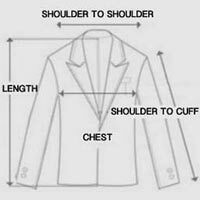 Fold the sleeves and collar for traditional overcoat look or pop the collar for more dramatic coat style. Get the black military coat for polished outerwear with a reckless attitude.